Pataskala, OH (9/10/2018) - Can-Am/XPS Lubricants/CT Raceworx driver Kyle Chaney finished off the season with his fourth victory, the most any other driver this season, during the Midwest Short Course League season finale at Wisconsin’s Crandon International Off-Road Raceway. The finish put him second in Pro Modified SXS points. 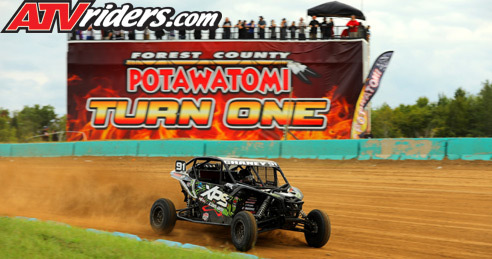 The single event was held on Crandon’s short course, known for both its high speeds and technical nature. The race started in a three-row, land-rush configuration and Chaney’s Can-Am Maverick X3 was fast from the get-go. He took the holeshot and spent the rest of the race running away from the field. He ended up leading every lap, leading a Can-Am 1-2-3 on the podium. 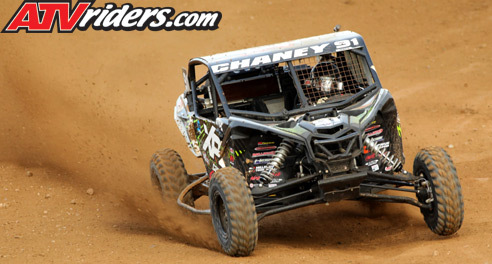 Perfect track conditions suited everyone in the field, but Chaney’s Maxxis tires made the difference for him. Running the outside line proved to be the fastest way around and Chaney’s Maxxis tires gave him the consistent grip he needed to stay out front. 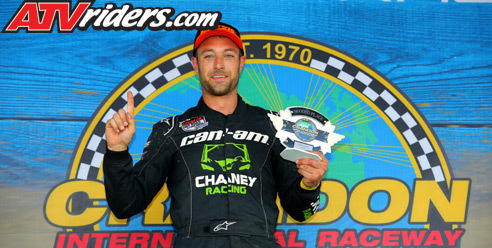 Chaney won more races this year than any other Pro Mod driver. Due to the series announcing its schedule late, Chaney had to build the car so it could compete on both the West Coast and the Midwest and that led to mechanical issues at the first two rounds. Though they compete on the track, in the pits each Can-Am team helps out their fellow Can-Am competitors. Chaney was happy to both give and receive assistance during the season. Chaney is already eyeing 2019 and is making plans to again compete in the Midwest Short Course League.